TiO2 and ZnO nanomaterials are widely used to block ultraviolet radiation in many skin care products, yet product labels do not specify their dimensions, shape, or composition. The absence of this basic information creates a data gap for both researchers and consumers alike. Here, we investigate the structural similarity of pigments derived from actual sunscreen products to nanocrystals which have been the subject of intense scrutiny in the nanotoxicity literature. TiO2 and ZnO particles were isolated from eight out of nine commercial suncare products using three extraction methods. Their dimension, shape, crystal phase, surface area, and elemental composition were examined using transmission and scanning electron microscopy, X-ray diffraction, Brunauer–Emmett–Teller (BET) specific surface area analysis, energy dispersive X-ray and inductively coupled plasma optical emission spectroscopy. TiO2 pigments were generally rutile nanocrystals (dimensions ~25 nm) with needle-like or near-spherical shapes. ZnO pigments were wurtzite rods with a short axes less than 40 nm and longer dimensions often in excess of 100 nm. We identify two commercial sources of TiO2 and ZnO nanocrystals whose physical and chemical features are similar to the pigments found in sunscreens. 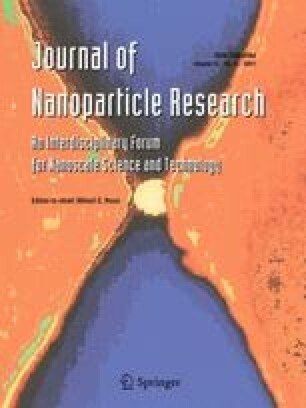 These particular materials would be effective surrogates for the commercial product and could be used in studies of the health and environmental impacts of engineered nanomaterials contained in sunscreens. The online version of this article (doi: 10.1007/s11051-011-0438-4) contains supplementary material, which is available to authorized users. This work was supported by the Center for Biological and Environmental Nanotechnology (EEC-0647452) through NSF, the Shared Equipment Authority instrumentation at Rice University and in part through the collaboration with Consumer’s Union.